We're delighted to announce that Metfriendly is now a proud sponsor of the Met Police Choir. Formed in 1872, the Choir is a significant part of the Metropolitan Police Service's history. Made up of serving and retired officers and police staff, they perform for a range of charity, community and Metropolitan Police Service events throughout the year. Every year the Met Choir raises vital funds for numerous charitable causes and perform at some of London's most iconic venues. Past appearances have included the Royal Albert Hall and Royal Festival Hall. 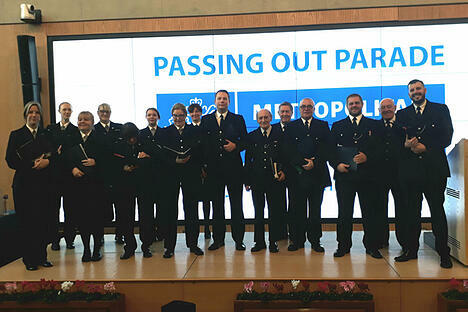 The Choir is a mixed voice choir, made up of 65 members and represents the diversity of the Metropolitan Police Service. It's an honour for Metfriendly to sponsor the Met Choir and its work for good causes. If you would like to show your support to the Met Police Choir, then make sure you book tickets for one of their upcoming events. 125 years of Serving the Met!